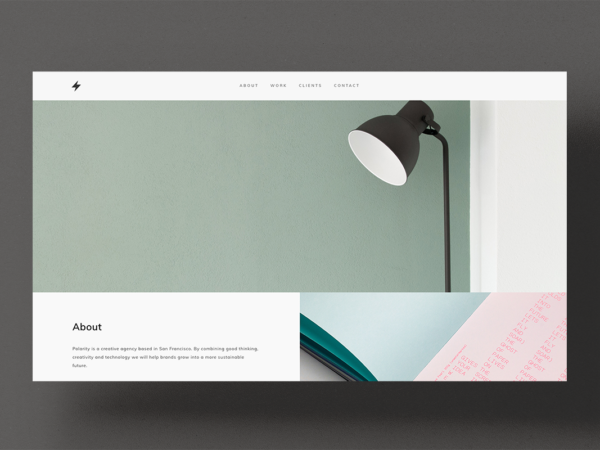 Kit is a text-focused one-page template that is simple yet striking. 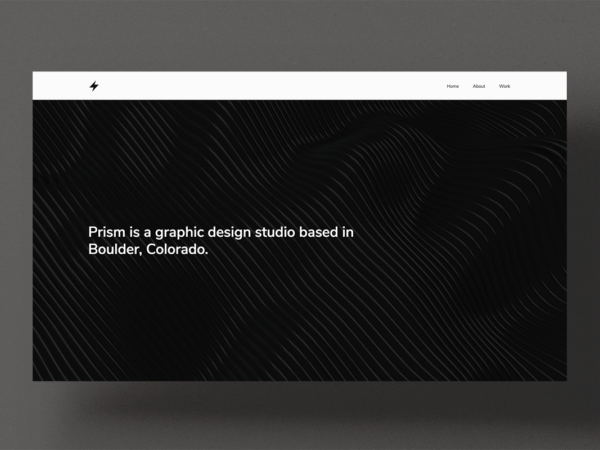 Prism is a contemporary portfolio template with a borderless grid layout. 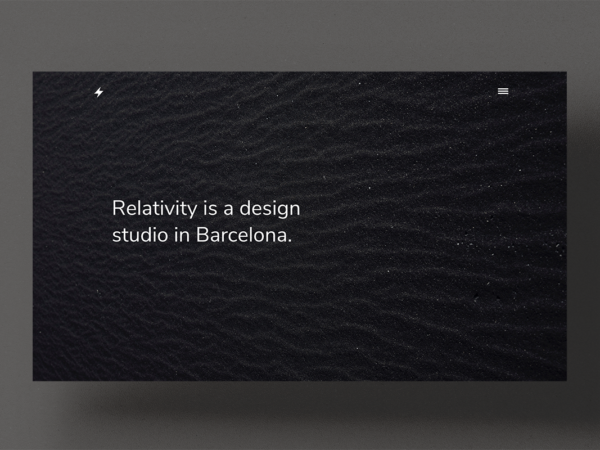 Relativity is a minimal yet sophisticated portfolio template with a spacious layout and elegant scrolling effects. 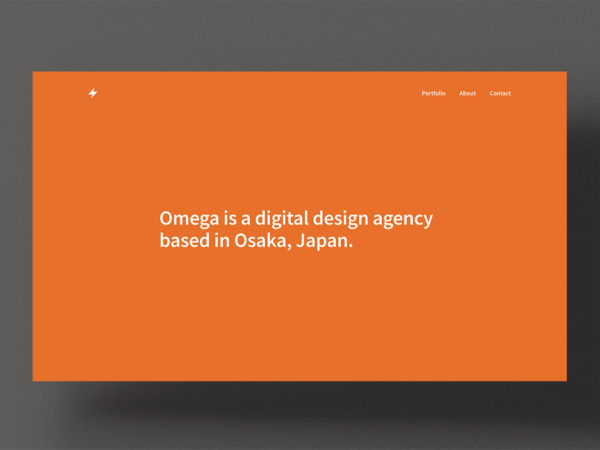 Omega is a versatile portfolio template with vivid headlines and bright pops of color. 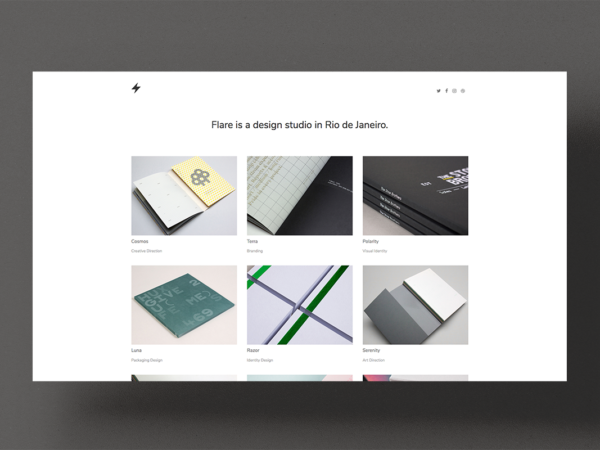 Flare is a beautiful portfolio template with a classic appeal. 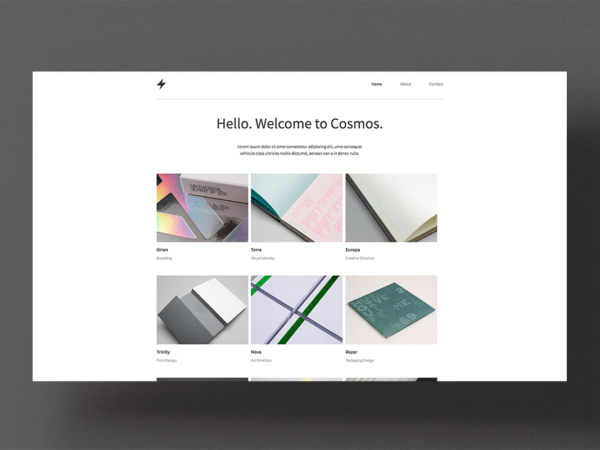 Cosmos is a classic portfolio template built especially for designers and agencies. 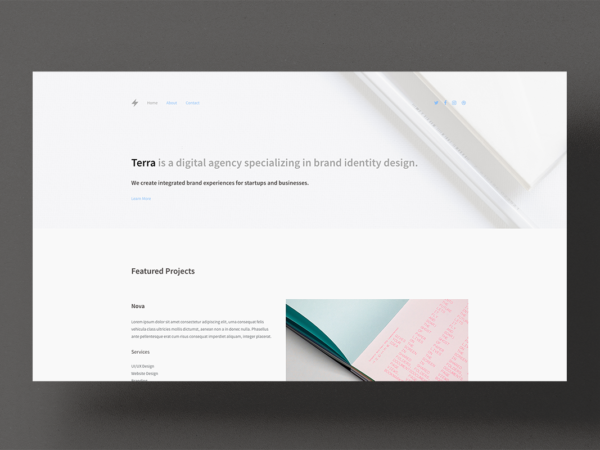 Terra is a clean, professional template designed to showcase your work and engage potential clients. 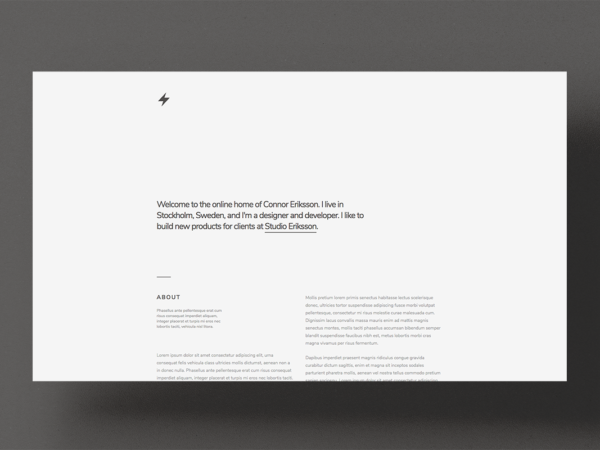 Nova is a minimal one-page template with a simple, bold format. 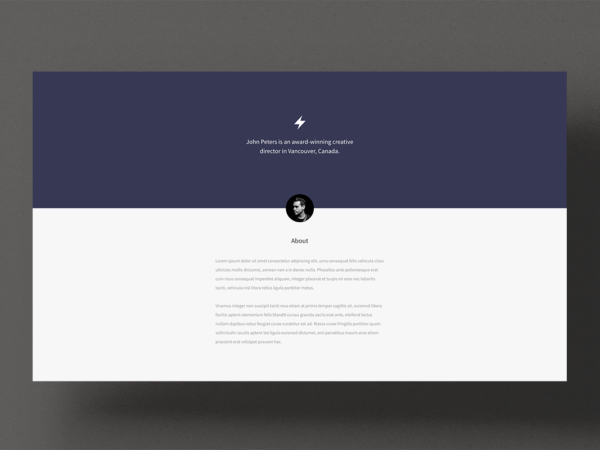 Polarity is a simple yet sophisticated one-page template that presents your portfolio in a powerful way. 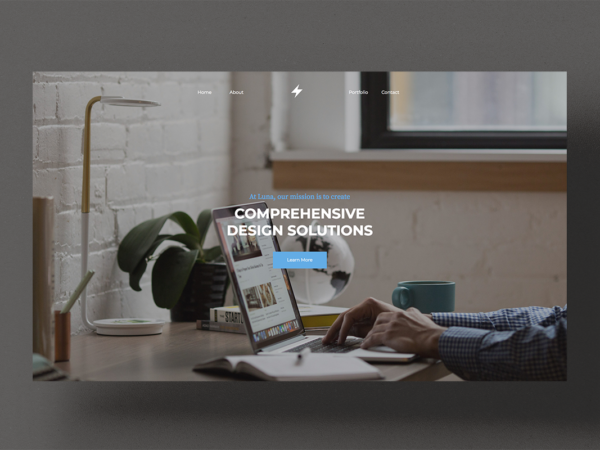 Luna is a sleek one-page template that presents your portfolio on a full-screen header and borderless grid layout.